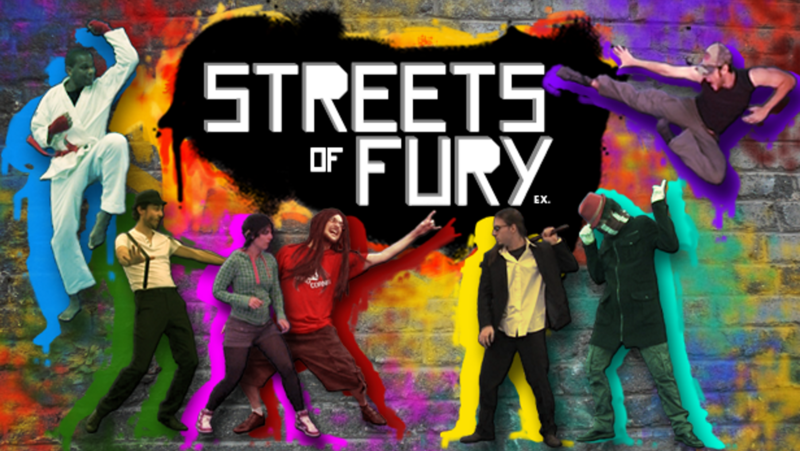 Streets of Fury EX steam greenlight campaign is ON !!! Spread the fury people ! Is android and iOS is gonna have bluetooth or wifi On the game ? Currently there is no plan to add bluetooth/wifi support for the game, but we’re taking your demand into consideration. Hi Franklin. The training mode I use is a debug feature but we will make it available as a training mode in the final game. Number of combo will be displayed. Graphic user interface is currently under construction so numbers are gone for now but don’t worry, they’ll return ! Are going is there more CHARATER in the game or all the people in it from steam pictures are all of them ? When is a new update info coming up ? And how many people like is it over 5000 ? We’re currently working on a demo version to send to journalists. Gameplay videos will be released later this month. Hi guys, I totally love the original so I’m very excited for this new one because I just thought it’d be a one-off with no sequels! Anyways, I know it might be a bit tricky with the sprites/collision detection, etc but have you thought about putting throw moves and/or grapple characters (like Max or Haggar) into any future versions? It was pretty much the only thing I missed in the first SoF..! We thought many times of integrating a throw system, but it is quite hard and very bug risky and we decided that the game doesn’t need it. We added some new gameplay elements though, like for instance stamina for special moves and guard breaks, that are core to the new system. More to come, as I will make some annoucement soon about gameplay changes. Thanks for the reply! Ah well, I suppose the original was definitely good enough so far without them! Looking forward to the new announcements, I had loads of geeky questions but I’m not going to pester you with them, so I’ll just wait! I want to tell you a release date but we’re only two working on the game and we have day jobs. What I can tell you is that we’re making good progress and that’s a matter of months. Stay tuned for further updates. Alright you guyz take your time usually the longer we wait , the Better the game makes ,oh you i wanted to ask you guys you should get more youtuber on your game I bet massive amount i will like to play with they favorite yt just like benzaie ! (I mean )I bet a massive amount of people will want to play as they favorite youtuber And sorry I didnt think about How many people was working on the game. hey its been awhile for a update is anything new to reported guys ? Yes ! We’re still working on SoF EX like madmen, we should post some update in january.